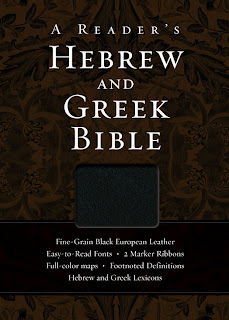 Yesterday, I received my wonderful review copy from Zondervan of the new one volume A Reader's Hebrew and Greek Bible. From this standpoint of aesthetics, this book is simply beautiful! (When I opened the box, that fine-grain, European leather smelled wonderful; it was like sitting in a new car!) So, over the next couple of weeks or so, I am going to do several review posts of this Bible--along with some screencasting--here on Pisteuomen. 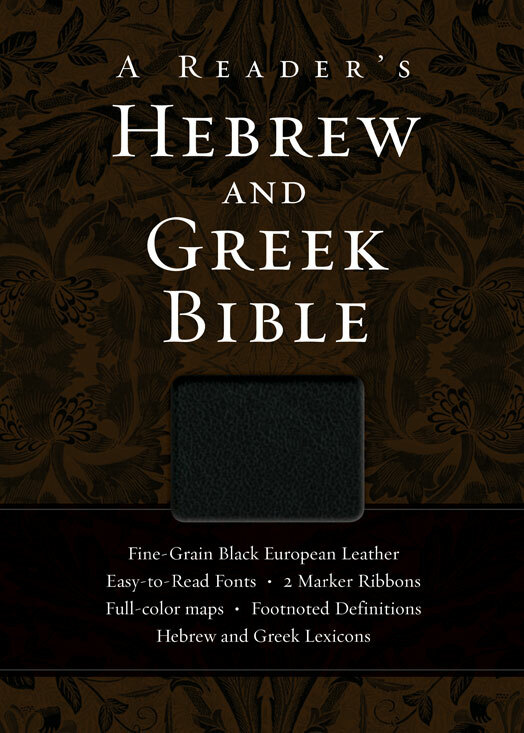 We'll look at the Hebrew, Aramaic and Greek texts, survey some of the wonderful tools this Bible has and I'll show you some of the great things about this version compared to others. At any rate, keep watch for those posts and in the meantime, you can get your copy of this new Zondervan resource by clicking the following link: Zondervan's, A Reader's Hebrew and Greek Bible.